Yet another round of Christmas present today. Lucky creatures! I discovered a new Cafe in town today. Well, new to me anyway. And whilst I was there I had a ‘Mellow Butterchoc’ which is a totally new one on me – and it was as tasty as it looks! (Good grief! A picture of me!) 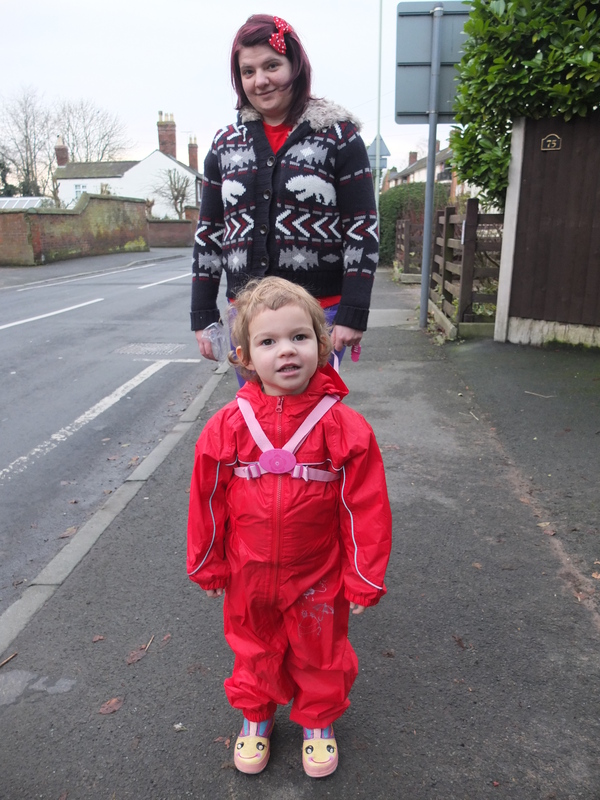 Today we went on a walk to the canal so that Tori could wear her new weatherproof all-in-one and jump in the mud – Arthur has had one for a while and Tori was very jealous when he could splash more than her. Not any more!! 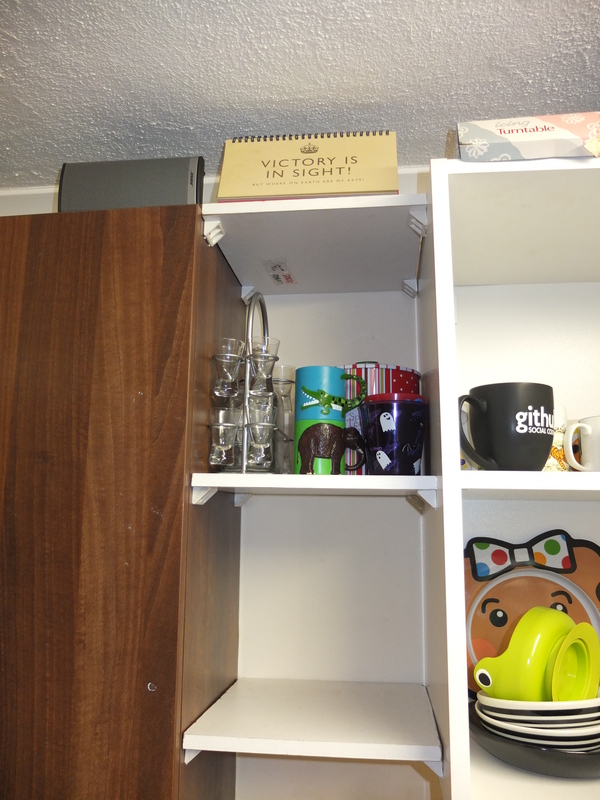 After our influx of Christmas presents and whatnot, Caius finally got around to building some new shelves in the kitchen so we have space to put things (both new and old). Now all I need to do is finish filling them!! That Mellow Butterchoc looks yum!!! A lovely round up of photos. We’re big fans of the splash suit too – great for maximum jumping in puddles fun! Great week. 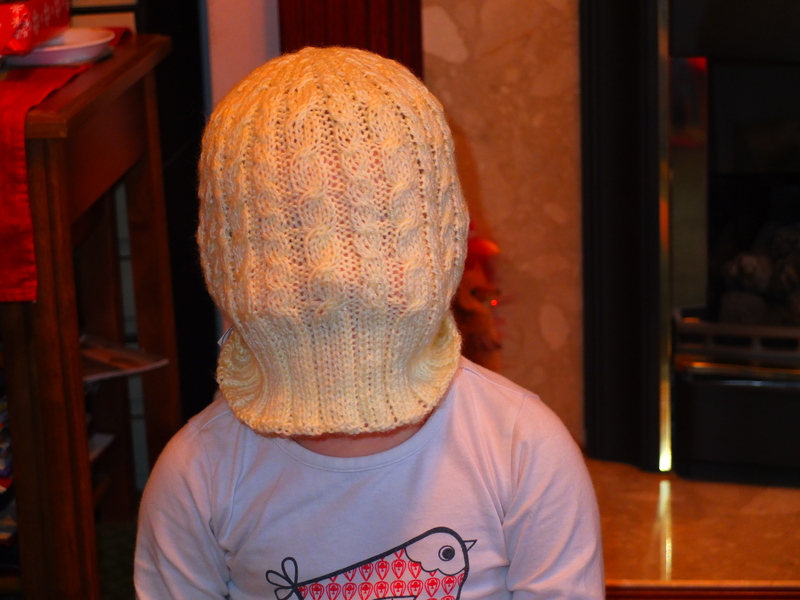 Laughed at the hat picture – very good. Those all in ones are prefect for fun outdoors. Great photos, the New Years Day one is lovely. The New Years Day shot is stunning. Lovely photos. Yum to the hot chocolate, love the splash suit, and I adore Artie’s little face, when did he get so big?! I want a splash suit in my size! And I don’t know – he’s shooting up at the moment.